Still turning lights on and off by hand? 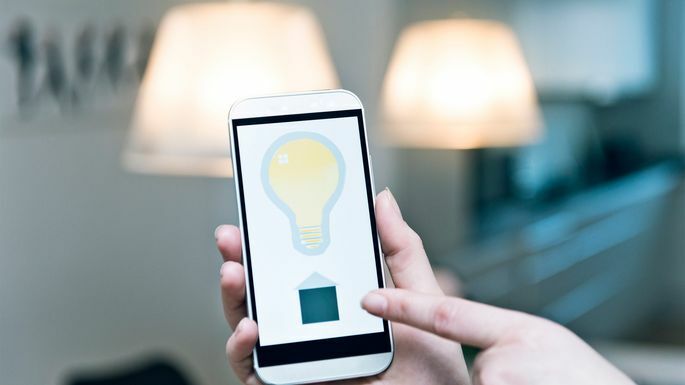 Then allow us to shed light on another fascinating facet of The Connected Home: smart lighting. Home lighting options today relieve you of the hassle of flipping switches and curb your electric bill to boot. There are other bonuses, too: Smart lighting can help deter burglars, or set the mood for a party, a romantic dinner, and everything in between. Here's an illuminating look at just how bright smart lighting can be. What makes certain lightbulbs "smart" is a chip embedded in the base that enable them to tap into your home's Wi-Fi network. Here are just a few of the cool things you can do. Turn lights up or down from your phone (even if you're out). Program lights to turn on, turn off, or dim at certain times of the day. Tell your lights to do any of the above, provided you sync them up with a voice-activated speaker such as the Amazon Echo, Google Home, or Apple HomeKit. Program lights, many of which are motion-sensitive, to turn on when you enter a room and off once you're gone. Customize lights to turn on or off gradually for a gentler wake-up in the morning or wind-down at night. Sync lights with a smart thermostat or smart home security system that can tell if you're home or not, then turn your lights off to save money. 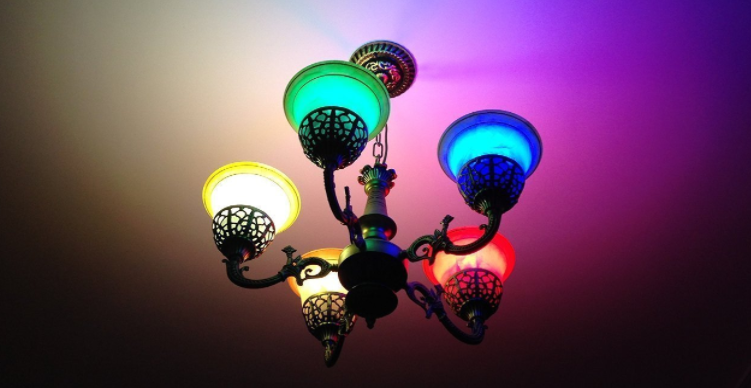 Create color effects that respond to triggers (e.g., making lightbulbs flash blue when you get a Facebook notification). Smart bulbs: Swapping in new bulbs is a great idea, particularly if you've been wanting to upgrade to light-emitting diode bulbs, which consume 75% less electricity and last 25 times longer than traditional incandescents. Most smart bulbs are LEDs, which mean that although they cost more than traditional bulbs upfront, you'll save money over time. 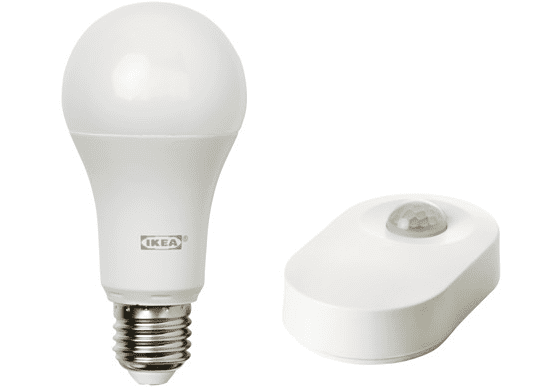 Ikea's smart bulbs are a budget-friendly way to start. One affordable starting point is Ikea's Tradfi smart kit ($24.99), which includes one smart bulb and a motion detector that will turn the light on when you enter a room, and off if it detects that you've left. If you are digging your smart light and want to branch out, one popular option is the Philips Hue Connected system ($150 for a three-pack). Like with all smart bulbs, you can control and program these lights with a phone app (available for Android and iOS), but the big difference is that you can connect up to 50 bulbs to this system, which means you can turn off the lights in your kid's room, dim the lights in the dining room, and program the porch light to go on at 6 a.m. so your letter carrier can easily find your front door. Because the Hue software is open source—meaning Philips encourages third-party app development—it boasts an ever-growing selection of homegrown apps that expand the functionality. For example, there's the Hue Disco, which lets you synchronize your Hue bulbs to flash on and off and "dance" to the beat of your favorite tunes. The Flux Bluetooth smart LED light can turn a total of 16 million different colors. Many smart bulbs also come in colors, including Philips or the budget-friendly Flux Bluetooth smart LED lightbulb ($31), which offers a palette of 16 million hues. Smart switches: Of course, graduating to smart bulbs does mean you'll have to swap out your old bulbs, which is a shame if they still have wattage. If you want to keep them, you can install a smart light switch instead. Because these also are Wi-Fi-enabled, they deliver the same smart features (to control, program, and automate lights) along with a few bonuses. The Belkin Wemo Light Switch ($48), for instance, can also "talk" to the Nest thermostat (which can sense if you're home or not) and switch the lights off if you're out. And, since it controls more than just the bulb, you can set your ceiling fans to come on if the ambient temperature hits 80 degrees Fahrenheit. Smart light switches (like this one from Wemo) are an alternative to smart bulbs. 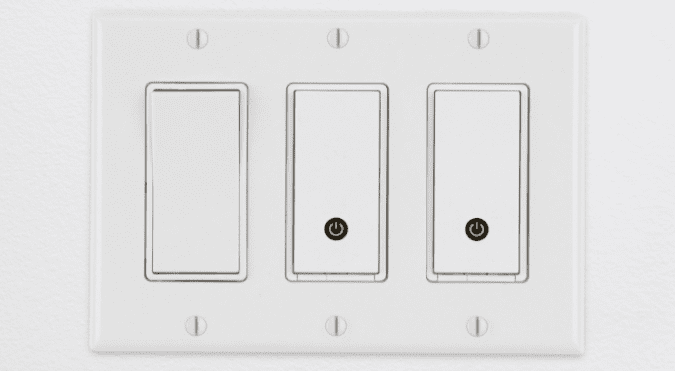 The only downside: Smart switches typically require a direct connection to your wall's wiring, which can make installation trickier than just screwing in a bulb. If you’re electrically challenged, you might do better with what's next. Smart plugs: The TP-LINK smart plug ($26) is as simple as it gets: It plugs into your power outlet, then you plug in a light on top. 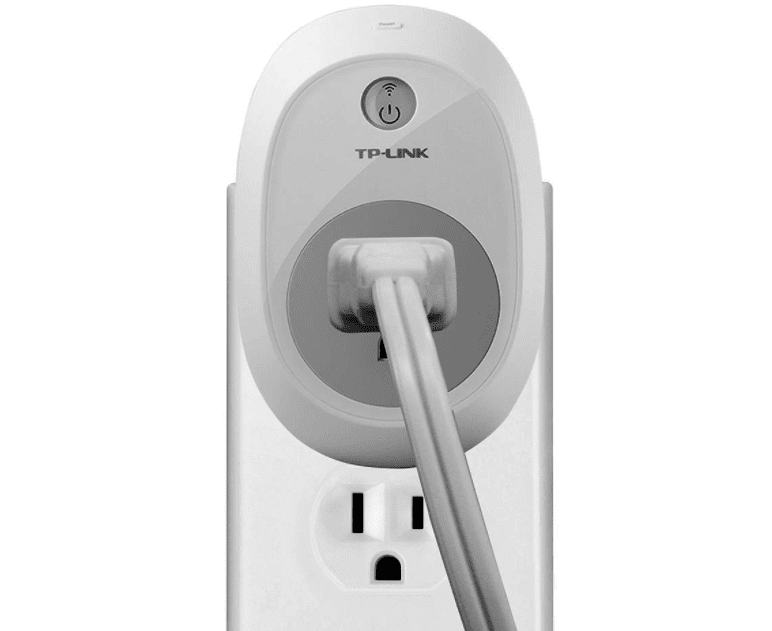 TP-LINK smart plug is another alternative to smart bulbs. Smart plugs enable you to do all the usual smart lighting tricks but with the added advantage that you can turn on and off any electrical appliance, from your humidifier to your rice cooker. A number of smart lights are focused on home security. 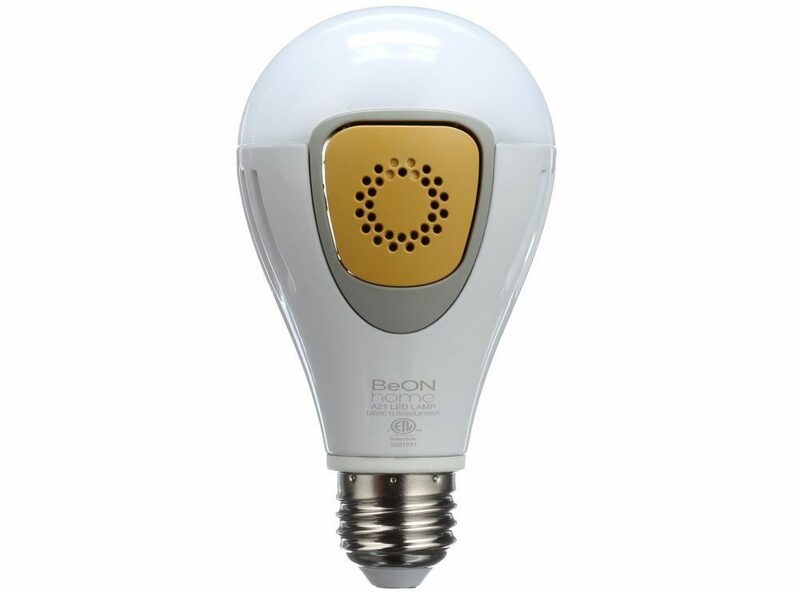 To keep burglars away, one option is the BeON light ($129 for a three-bulb starter pack on Amazon), which can make your home look occupied when you're not there. “These lights can memorize your family’s lighting patterns from a typical week, then repeat those same patterns, turning the lights on and off accordingly while you’re away,” says Ry Crist, tech editor at CNET.com. So, how does it work? Simply use your BeON lights normally for a week, then when you are away, tap the app's "away" mode so the lights run on autopilot. BeON light bulbs can outsmart burglars by making your home look occupied when you're away. 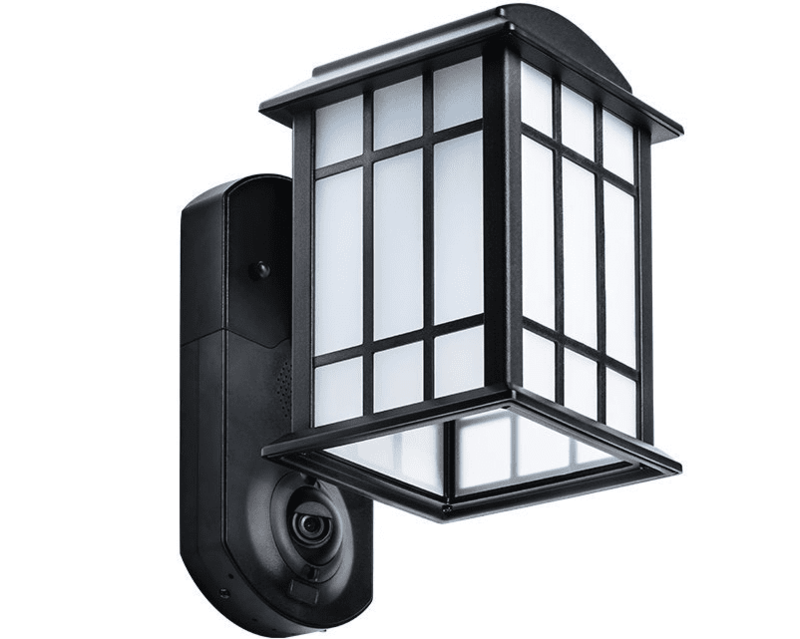 For the outdoors, there's Maximus ($149), a light that contains a security camera that, when triggered by a built-in motion sensor, streams video to your smartphone. See something suspicious? You can remotely activate a loud siren to chase the threat away. This smart light doubles as a smart security camera.